"Opal", the new video from SOEN, the progressive heavy rock group featuring world-renowned drummer Martin Lopez (formerly of AMON AMARTH and OPETH) and the dynamic voice of Joel Ekelöf (WILLOWTREE), can be seen below. The song is taken from SOEN's new full-length opus, "Lykaia", which was released on February 3 via UDR Music. "Lykaia" is a journey into earthier places — SOEN's most cohesive, powerful and congruent creative quest yet. For those who have followed SOEN's career thus far, the new album's concepts of journey and exploration are not new. 2012's "Cognitive" beat a firmly heavy, progressive metal path. 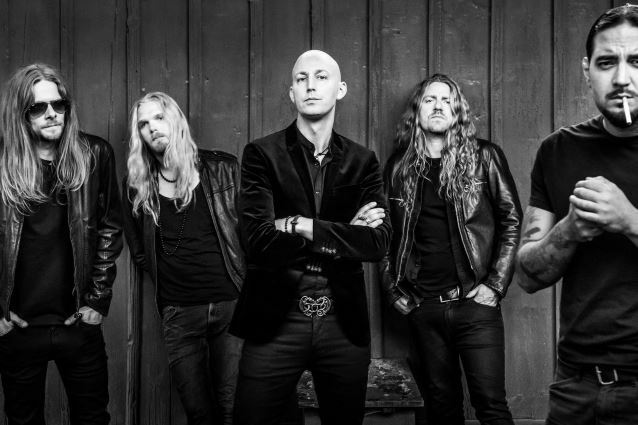 2014's "Tellurian" — with its PINK FLOYD explorative spirit and OPETH-like forceful power — saw SOEN start to stride freely into their own control and unique visions. The new album sees SOEN remain fascinated with the shadows and the darker edges of our world, with a particular focus on the various thoughts and concepts behind religion and ritualistic, belief-based behaviour in society. Recorded at Ghost Ward, StudioGröndal and Deep Well in Stockholm, Sweden, with production duties handled by guitarist Marcus Jidell and the mix made by Stefan Boman, SOEN kept things as far away from the digital age as possible on "Lykaia", embracing warmth and organic recordings as the drive behind the technical working process. If the first two albums were harder, more technical, angular and perhaps cerebral pieces which demanded sharp focus, "Lykaia" presents a warmer, rounder, flesh and blood on the bones approach that allows listeners a dual entry to the eight tracks presented. The journey is no less dynamic, continuing the underscore of complex melodies with crushing power and no fear of walking proudly into more ambient spaces to explore the temperature. 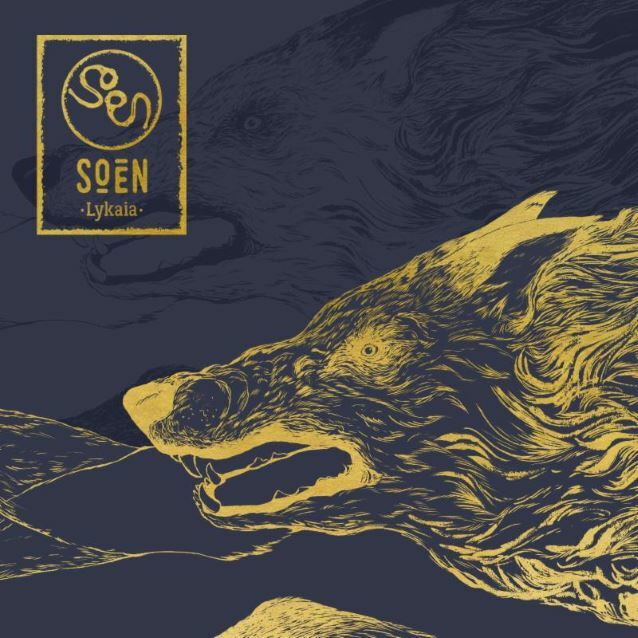 With "Lykaia", however, it is clear that SOEN have never felt more congruent or sure of themselves.